January 7, 2015  The federal judge rejected motions by NPR and other news organizations to allow lawyers and others involved to talk about the case. The judge has also restricted access to court documents. September 24, 2013  Gary May claims his attorney colluded with attorneys for the mining company to avoid testimony implicating Massey in his crimes. September 10, 2013  David Hughart is now the highest-ranking former executive of Massey Energy to go to jail for crimes related to the worst coal mine disaster in 40 years. 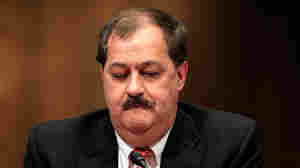 November 28, 2012  David C. Hughart, former president of a Massey Energy subsidiary, is pleading guilty. The charges relate to a corporate culture that investigators say contributed to the nation's worst mine disaster in 40 years. 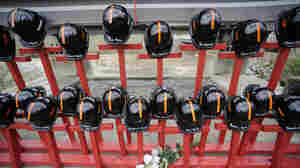 Twenty nine miners died at one of Massey's West Virginia mines in a 2010 explosion. October 31, 2012  One of the 13 coal mines singled out by inspectors was once owned by Massey Energy, the company that owned the Upper Big Branch mine, the scene of a deadly 2010 explosion. Two others are owned by Murray Energy, whose Crandall Canyon coal mine experienced two collapses in 2007, killing nine miners and rescuers. June 1, 2012  Citations issued by the Mine Safety and Health Administration (MSHA) say managers at one mine failed to evacuate a section that was enveloped in thick smoke generated by a malfunctioning conveyor belt. The company disputes that finding. May 24, 2012  Dozens of federal mine safety inspectors descended into 43 coal mines in three Appalachian states Wednesday. The mines are now owned by Alpha Natural Resources, which absorbed Massey Energy after a 2010 mine disaster in West Virginia. April 5, 2012  On April 5, 2010, an explosion killed 29 men at the Upper Big Branch mine. Today, families will remember those who died. Meanwhile, some are pressing a lawsuit against executives of the company that ran the mine. 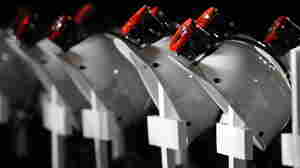 Its new owners are sealing the mine. March 29, 2012  Gary May is the highest-ranking Massey Energy official so far charged after an investigation into operations at the mine where a blast killed 29 men in April 2010. February 23, 2012  While a state review of the 2010 disaster that killed 29 coal miners isn't as pointed in assigning blame as some other reports, it does single out weaknesses in state laws that make it difficult to hold those responsible accountable. February 22, 2012  Federal prosecutors in Charleston, W.Va., have filed the most serious criminal charges yet in the investigation of the April, 2010, coal mine explosion that left 29 mine workers dead. January 10, 2012  The task was emotionally charged, because it amounted to putting a price tag on the lives of coal miners killed in the country's deadliest mine disaster. December 7, 2011  After issuing a scathing report and reaching a $209 million settlement, officials are moving ahead on an internal probe of the agency that regulates mines and a federal criminal investigation of the disaster that killed 29 miners.